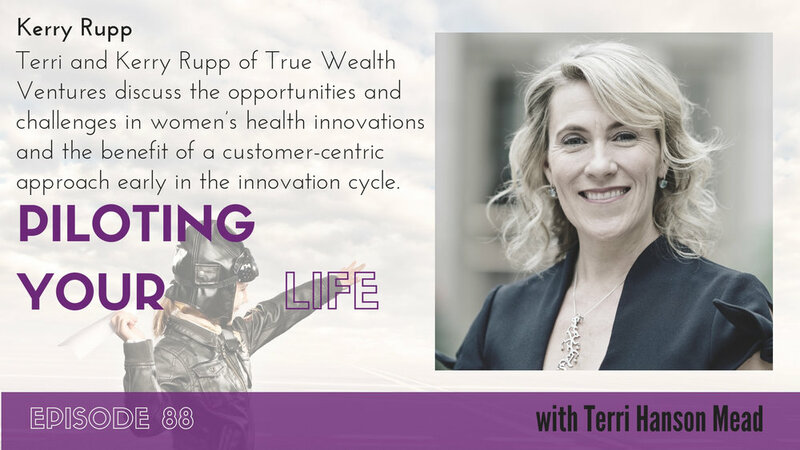 Terri talks to Xandra Laskowski about her own angel investing journey which has led to her desire to inspire and educate more female investors through OSEA Angels in Orange County. Xandra Laskowski is a startup consultant with over 25 years of entrepreneurial experience with large multinational tech companies as well as startups as founder, investor, advisor and board member. She has held positions as Worldwide Commodity Manager and National Major Accounts Managerial roles before moving into the angel investment and startup worlds. She founded OSEA Angel Investors in 2017, a women focused angel investment group based at the UC Irvine Cove, UCI Applied Innovation. OSEA Angel Investors is a partner angel group with Tech Coast Angels and Angel Syndication Network. · Xandra shares her journey into investing beginning in 2012 including some of her favorite investments and how they are faring. · Xandra talks about her investment philosophy which has evolved since she started investing. She makes sure they are in revenue and that she is strategically aligned to be able to provide support before she writes her first, small check. · Xandra’s leverages her professional experience and network in addition to her experience managing her family’s asset as an angel investor. · She created Osea Angels to help other women in her community learn about investing in startups and get access to deals to make those investments. She is bringing education, inspiration, and connections to her members for startup opportunities. · Xandra saw a need to support small businesses in Orange County that need access to resources to build and grow their businesses and she partnered up with someone to provide these services. · Xandra most felt like the pilot in her own life when she took over her family’s finances to better manage her family’s wealth. It’s time for women who are building the female founder / female investor ecosystem begin to benefit financially. Xandra can be reached by email at xandra@oseaangelinvestors.com. 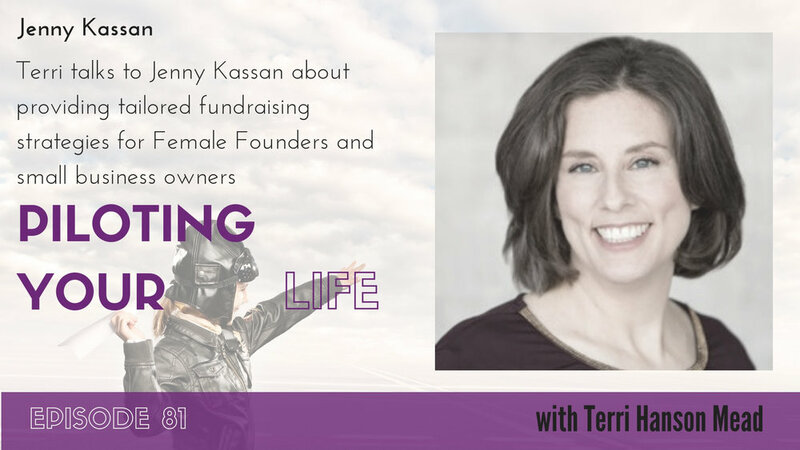 Terri talks to Jenny Kassan about alternative funding mechanisms for female founders and small business owners and how she works with them to provide tailored fundraising strategies. Jenny Kassan has over two decades of experience as an attorney and advisor for mission-driven enterprises and is a certified coach. She has helped her clients raise millions of dollars from values-aligned investors. She is the author of Raise Capital on Your Own Terms: How to Fund Your Business without Selling Your Soul (Berrett-Koehler, October 2017). She served on the SEC Advisory Committee on Small and Emerging Companies and submitted the petition to the SEC that led to the passage of the 2012 JOBS Act. Before becoming a securities lawyer, Jenny worked for eleven years at a nonprofit community development corporation in Oakland, where she served as staff attorney and managed community economic development projects including the formation and management of several social ventures designed to employ and create business ownership opportunities for low-income community residents. Jenny is a fellow at Democracy Collaborative and the co-founder of the Force for Good Fund, is the President of Community Ventures, and co-founded the Sustainable Economies Law Center. She was a director of Berrett-Koehler Publishers and is a member of the Content Advisory Panel of Conscious Company Magazine and serves on the advisory boards of Lioness Magazine and Investibule. Jenny earned her J.D. from Yale Law School and a master’s degree in City and Regional Planning from the University of California at Berkeley. Jenny talks about her journey into working with startups and businesses on tailored fundraising strategies and the importance of Title III of the JOBS Act. Jenny talks about how her frustration with fundraising options and meeting Michelle Thimesch led to the recent launch of CrowdFund Main Street to take advantage of Title III of the JOBS Act. Terri and Jenny talk about how crowdfunding can fit into a startup’s fundraising strategy and how the definition of success for a startup is not based on funding rounds. Jenny is now focusing on the investor side and educating a lot of Americans on investing opportunities through her new organization called Angels of Main Street. Terri talks about how important it is for some us to see the direct impact of their investments and/or time. Jenny talks about how she works with her clients to structure their financing strategies in alignment with their goals, values, and short/long term strategies. She also talks about the various options available to founders. Taking the first step is important to opening up new opportunity paths. Terri talks to Maren Bannon about what drove her to launch Jane VC, a fund focused on investing in female founders in the US and Europe along with a fellow Stanford grad, Jennifer Neundorfer. Maren is Co-Founder and Partner at Jane VC, a venture fund to invest in female-led technology startups. Maren is an entrepreneur at heart who has been building tech businesses for the past 15 years. Previously, she was CEO and Cofounder of LittleLane. Her operating experience also includes leadership roles at health tech startups as well as leading consumer marketing for a $1B product at Genentech. She is the mother to three young daughters and feels energized each day by her vision of creating a different world for them. She has an MBA from Stanford and an Engineering degree from Dartmouth. Maren talks about joining forces with one of her fellow Stanford grads, Jennifer Neundorfer, to create a new fund, Jane VC, to not only get more capital into the hands of female founders, but to activate more female investors. Maren shares the journey from reconnecting with her partner Jenn in January 2018 and leveraging AngelList to quickly create and raise the fund by bringing on supportive people in their network. Terri asked Maren about Jane VCs plan to get access to deal flow, being open to anyone, and their plan to provide transparency to the VC process to work towards leveling the playing field. Maren shares their plans for Jane VC in providing transparency, investing in women, and actively looking for investing opportunities outside of the Silicon Valley. With Jane VC, they are focused on investing in pre-seed and seed stage rounds, but they will also invest in Series A. With Maren based in London, they will have the opportunity to focus on startups not only in the US, but also in Europe including London, Berlin, Paris, and the Nordics. If Maren could wave a magic wand, she would shift the power dynamic to make it more equitable for women. To shift the power dynamic and improve the world, we need to activate more female investors and invest in more female founders. Maren can be reached by email at hello@janevc.com.